Stock product - detailed vector illustration - Isometric People Collection - Golf Set - created by Aurielaki. Image formats EPS AI JPG. Sport golf players set. Interacting people unique isometric realistic poses. New bright palette 3d flat vector icon collection. Golf course or professional competition assemble your own 3d world. 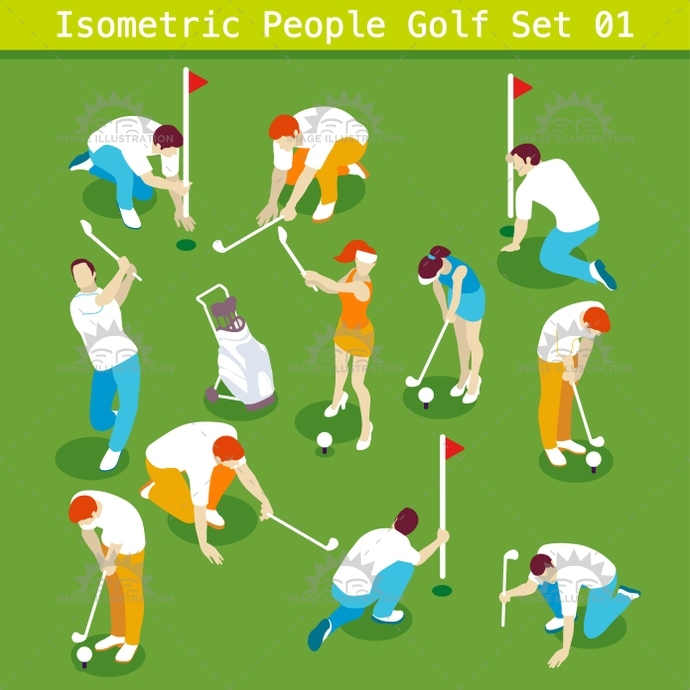 SKU: Golf-Set-01-People-Isometric-AurielAki. Category: Isometric Sporting People. Tags: birdie, bogey, boy, bright, business, championship, club, collection, competition, concept, course, eagle, elements, flat, game, girl, golf, grain, ground, hobby, hole, illustration, industry, isometric, luxury, man, match, natural, new, palette, par, people, poses, putter, realistic, set, sign, sport, stroke, stylish, template, unique, vector, web, win, woman.